Dr. Ouchi’s laboratory investigates mechanisms of human carcinogenesis using series of transgenic/knockout mouse model. His group also studies stem cell/differentiation program. Approaches of the research include Cancel Biology, Systems Biology and Genomics. Study biological function of BRCA1/ATM-associated BRAT1 protein. 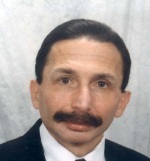 Dr. Fredric Gorin is currently working as a Professor and Chairperson for the Department of Neurology, School of Medicine and a member of the UC Davis National Cancer Center. He received a joint MD-Ph.D from Washington University. His doctoral degree is in Biophysics and Physiology at Washington University Medical School, St. Louis and he utilized computerized drug design and peptide synthesis to develop a predictive pharmacophore for the mu opioid peptide receptor. Fredric Gorin is board-certified in Neurology, having received training at UCSF and stayed on where he participated in the cloning and mapping of the gene encoding McArdle's disease. Earlier in his career he studied about muscle-nerve regeneration and described the intracellular mechanisms by which neural impulses coordinately regulate glycolytic gene expression in skeletal muscle. Dr. Zweit is currently working as a Professor of Radiology and affiliate Professor of Biochemistry and Molecular Biology, Radiation Oncology and Molecular Pathology. Dr. Zweit has established CMI in 2008 to 2009 and has been the director. He is internationally recognized for his work in molecular imaging and molecular nanotechnology in cancer biology and therapeutics. His major focus of research is on integration multi-modality molecular imaging technologies with nanoparticle-based hybrid probes and the development of endogenous molecular imaging to study tumor genesis and cancer progression. Dr. Masayoshi Yamaguchi is an Adjunct Professor, Department of Hematology and Medical Oncology, Emory University School of Medicine, Atlanta, GA, USA (2013); Visiting Professor in Division of Diabetes, Endocrinology and Metabolism, Department of Medicine, Baylor College of Medicine, Houston, TX, USA (2012–2013); Visiting Professor in Department of Pathobiology, College of Veterinary Medicine, The University of Missouri-Columbia, MO, USA (2012). He discovered two novel proteins and genes; cell signaling suppressor protein (named regucalcin; 1978) and transcriptional factor RGPR-p117 (regucalcin gene promoter region-related protein; 2001) in mammalian cells. 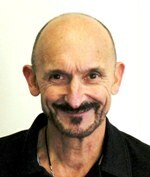 He is serving as an editor and an editorial board member of 24 reputed international Journals. He received many honor and awards; Prize for Sato Memorial Fundation (1992, Japan/USA), Senji Miyata Foundation Award 2005 (Japan), Japan Society for Biomedical Research on Trace Elements Award 2007, The Lifetime Achievement Award from International Biographical Centre (IBC) (2004, England), The World Lifetime Achievement Award from American Biographical Institute (2004, USA), The Distinguished Service to Science Award from IBC (2007, England), and many others. Dr. Yamaguchi is listed in various biographies; Who’s Who in the World (2005-, Marquis Who’s Who, USA), Who’s Who in Sciences and Engineering (2004-, Marquis Who’s Who, USA), International Biographical Dictionary (2006-, IBC, England), and others. Dan Liebermann is a Professor in the Department of Biochemistry and the Fels Institute in the School of Medicine. He obtained his Ph.D from the Weizmann Institute of Science In Israel, and did research at Stanford University and the University of Pennsylvania. He has been at Temple University since 1993. He has an active research program, receiving funding from the NIH & the Army. His listing in Wikipedia as discoverer of the Gadd45 family of genes and the Toll receptor MyD88 gene reflects on this pioneering work. He was also the first to document, in Oncogene 1994, the finding that the pro-apoptotic protein BAX is a target of the p53 tumor suppressor. This publication cited more than 2000 times was listed among the ISI hot papers for 1994. His work has yielded, so far, about 180 publications in high impact Journals, including Nature, Cell, PNAS, MCB, JCB, Blood, Oncogene and Cancer Research. His scientific achievements have been recognized by a Senior Research Excellence Award Lecture in the Second Annual Temple Translational Science Symposium, September 2013. Dr. Jimmy Efird currently working as an Associate Professor in the Department of Public Health, Brody School of Medicine, East Carolina University (ECU) and Director of Epidemiology and Outcomes Research at the East Carolina Heart Institute. He also serves as Assistant Director of the Center for Health Disparities at ECU. Prior to joining ECU, Dr. Efird was Director of the Biostatistics Faculty at the John A. Burns School of Medicine (Honolulu, Hawaii) and an Associate Member of the Cancer Research Center of Hawaii. 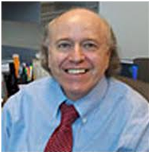 Dr. Efird continues to be active in the Research Centers in Minority Institutions (RCMI) Translational Research Network as an Adjunct Senior Statistical Consultant for the Data Technology Coordinating Center (DTCC). Recently, I am working as a research officer in EMAN Research and Testing Laboratory, School of Pharmaceutical Sciences, Universiti Sains Malaysia, Penang, Malaysia. I have a wide experience in biology; I got my BSC in 2007 from Iraq in (biology), 2010 I obtained my MSC in (Microbiology) from India. 2016 I finished my PhD in (Pharmacology) from Malaysia. The biology of cancer is the main field of research that fascinated me. I am interested in targeting tumors by inhibiting angiogenesis and understanding other mechanisms that are at play which can influence angiogenesis. Currently we are developing metastatic xenograft tumor models that can mimic the multistep process of metastasis to various target organs. With such model, i hope to be able to discover new compounds that may be therapeutically useful during this stage of carcinogenesis. In the last five years I started my research on natural product and their roles against cancer cells. I have more than 12 articles in Scopus and ISI journals and presented abstracts in many worldwide conferences. A part of angiogenesis interest, I recently won the gold award in the International Conference and Exposition on Inventions by Institutions of Higher Learning (PECIPTA 2015) for invented Mu-DermTM (A natural angiogenic product for skin heal). Cancer biology, Molecular imaging, Isolation and characterization the bioactive pure component from plants, marine and microorganism.  Isolation and characterization the bioactive pure component from plants, marine and microorganism. 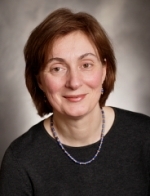 Dr. Tanja Pejovic is an Associate Professor of Gynecologic Oncology in the Department of Obstetrics and Gynecology at Oregon Health & Science University (OHSU). Her background is in cytogenetic and molecular genetics of ovarian cancer. Her Ph.D thesis “Cytogenetic Analysis of Ovarian Tumors” was the largest series of cytogenetically characterized ovarian cancers. She was the first to describe recurrent cytogenetic changes such as the 19p13+ marker chromosome, deletion of 11p13-15 in epithelial ovarian cancer and trisomy12 in benign ovarian tumors. Studying genetic causes ovarian cancer lead to increased interest in this disease. For this reason, she turned her attention to clinical aspects of gynecologic cancers to gain complete and comprehensive understanding of the field. She joined the Department of Obstetrics and Gynecology at Oregon Health & Science University in 2003. At OHSU she organize and maintain Ovarian Cancer Research Laboratory and she founded and maintain the Oregon Ovarian Cancer Registry and Tissue repository, unique in the state, with over 300 participants. She was one of the first recipients of BIRCWH K-12 NIH Award at OHSU. 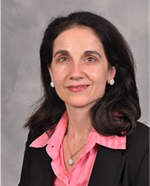 Dimitra Bourboulia currently working as an Assistant Professor, in SUNY Upstate Medical University at the Department of Urology, Department of Biochemistry and Molecular Biology, received her Ph.D in Oncology from the University College London, UK in 2004. She studied on viral induced oncogenesis in the laboratories of Professor Robin Weiss, FRS (Institute of Cancer Research) and Professor Chris Boshoff (UCL). Her research focused on human anti-viral immune responses in the context of HIV-1 induced neoplasias. Her novel findings in Kaposi’s sarcoma associated herpesvirus (KSHV) transmission routes and immuneresponses had a significant impact in understanding the interplay of the immune system and viral pathogenesis. She was awarded the Postdoctoral Cancer Research Training Award (CRTA) at the National Cancer Institute (NCI/NIH). 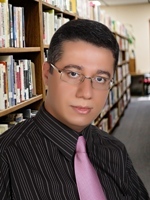 Dr. Bishayee has experience in pharmaceutical education, research, teaching, and administration. Before joining American University of Health Sciences (Signal Hill, CA) as Founding Chair and Associate Professor of Pharmaceutical Sciences, Dr. Bishayee has published 95 original research papers and review articles in high-impact, peer-reviewed journals, such as Biochemical Pharmacology, Cancer Prevention Research, Carcinogenesis, Current Cancer Drug Targets, Cancer Letters, Pharmaceutical Research, and International Journal of Cancer, 10 book chapters, and presented over 25 papers at various national and international scientific meetings. He is currently serving as an editorial board member of several reputed journals, including Anti-Cancer Drugs, American Journal of Cancer Science, Chemoprevention, Journal of Carcinogenesis and Mutagenesis and World Journal of Hepatology, and ad-hoc reviewer of more than 40 peer-reviewed scientific journals, including Nature Reviews. Dr. Bishayee has received several research awards, including “Young Investigator” award (Indo-American Society of Nuclear Medicine and Dublin Institute of Technology, Ireland), “Younger Scientist” award (National Science Council, Canada and Indian Chemical Society), as well as “most cited”, “most accessed” and “high-impact” articles in Cancer Prevention Research, Molecular Nutrition and Food Research and World Journal of Hepatology, respectively. Elva Diaz has a broad background in biochemistry, molecular and cell biology and genomics in studies of the mammalian nervous system. She earned a bachelor’s degree from Harvard University in Biochemical Sciences in 1993. Following a summer internship at Merck & Co. at Rahway, NJ, she pursued graduate studies with Suzanne Pfeffer at Stanford University and earned a Ph.D. in 1999. Her graduate studies involved the molecular mechanisms of receptor trafficking in non-neuronal cells. As a postdoctoral scholar she switched fields into development neurobiology and worked with Tito Serafini and John Ngai at UC Berkeley and with Marc Tessier-Lavigne at UCSF. In 2003 she became an Assistant Professor in the Department of Pharmacology at UC Davis School of Medicine and she was promoted to Associate Professor with tenure in 2010. Mohamed El-Far, Professor of Biochemistry, he worked in the field of Cancer-PDT for 35+ years, during such time he published about 70 peer-reviewed papers and reports. Awarded Fulbright certificate for academic achievement as excellent Fulbright scholar as he received Fulbright fellowships several times as well as received German DAAD grant to establish PDT Program at Munchen.. He has served on the editorial boards for the Lasers in the life sciences, and Case Reports in Toxicology, and on numerous review committees. He also acts as UNESCO expert in science and technology and represents Egypt in it. Dr. El-Far served as visiting Professor to University of California as well as Utah laser center also Mayo clinic for several years. To be among top 100 scientists 2012 he received honary doctorate of letters from International Biographical Centre, Cambridge, England. Selected recently as expert and consultant for biochemistry in the national committee of suprime council of Universities in Egypt, this is the highest nation honor. First to report the possibility to use ALA for detection and treatment of tumors, the paper published in (1990) in the Int. J. of Tumor Marker Oncology (U.S.A.). Dr. Jun Deng currently working as an Associate Professor at Department of Therapeutic Radiology of Yale University, an ABR board certified medical physicist at Yale-New Haven Hospital, and a full member of AAPM, ASTRO and RSNA. 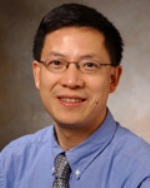 Dr. Deng has been serving as a Guest Associate Editor for Medical Physics since 2002, on the International Advisory Board for Physics in Medicine and Biology since 2003, on the Department of Defense Prostate Cancer Research Program Study Section from 2005 to 2011, on the Research & Education Foundation Study Section of RSNA since 2012, as an Editorial Board Member of Open Journal of Clinical Diagnostics since 2012, as an Advisory Editorial Board Member of American Journal of Cancer Therapy and Pharmacology since 2013, and as an Editorial Board Member of International Journal of Medical Physics since 2013. Dr. Deng has received numerous honors and awards such as elected Fellow of Institute of Physics in 2004, AAPM Medical Physics Travel Grant in 2008 and most recently, elected Fellow of AAPM in 2013. Dr. Liang Xu did post-doc research in molecular biology at University of Louvain, Belgium, 1994, then on molecular oncology at Stanford University, 1996. He moved to the Georgetown University and developed a novel non-viral tumor-targeted delivery system for cancer therapy. Three patents were issued in 2004-2007 for tumor-targeted delivery of genes and siRNA-based therapeutics, and the first-in-human Phase I clinical trial was completed as the Word’s first non-viral nano-p53 targeted gene therapy. In 2010, he obtained a Rising Star Award and became an Associate Professor with tenure at University of Kansas Cancer Center. He has 14 patents issued and over 10 patents pending. He is the key inventor and has made important contributions to the two projects and successfully transferred both products from laboratory to clinic, a testimony of success in translational cancer research. He has been funded by NIH, DOD and Komen Foundation. Dr. Wuthrick is currently working as an Associate Professor in the Department of Radiation Oncology, Arthur G. James Cancer Hospital & Solove Research Institute, Ohio State University. Dr. Evan Wuthrick completed education at Cornell University, (BS) and Jefferson Medical College (MD) before completing internship at Albert Einstein Medical Center and Radiation Oncology residency at Thomas Jefferson University Hospital. He also serves as Residency Program Director. 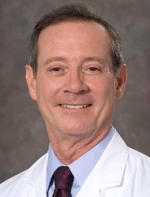 Dr. Wuthrick is involved in clinical research through work with RTOG (Advanced Technology Integration Committee), SWOG (Melanoma Committee Radiation Oncology Liaison), and the ALLIANCE. Dr. Wuthrick also received grants from the National Comprehensive Cancer Network (NCCN), Bristol-Myers Squib, and GlaxoSmithKline to execute early phase clinical trials in melanoma and gastrointestinal cancers. Dr. Al-Zoubi is an Assistant Professor at University of Illinois College of Medicine in Peoria, IL, and the CEO of Stem Cells of Arabia, Amman Jordan. 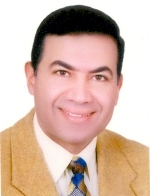 Dr. AlZoubi graduated from Southwestern University, Philippines, with a B.Sc. in Medical Technology, received his M.S. degree in Clinical Laboratory Sciences from Rosalind Franklin University, Chicago Medical School, and was awarded a Ph.D. degree in immunology from the University of Illinois at Chicago, where he identified and characterized the functions of several mRNA splice variants of the human and mouse forms of MADD (IG20) gene. 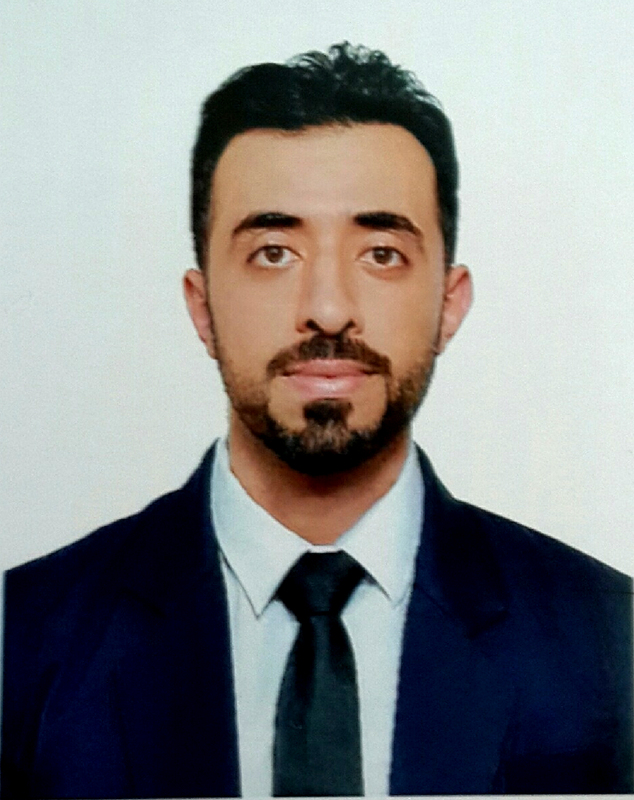 He is a prominent stem cell scientist in the Middle East, where he and his colleagues developed unique methods for utilization of autologous stem cells in treatment of chronic and incurable human diseases using the Jordanian Method. 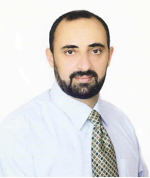 Dr. Al-Zoubi is a council member of the International Association of Neurorestoratology (IANR), a founding member of The International Stem Cell Academy, a member of the International Stem Cell Study Group Association (ISCSG), and the American Association for Cancer Research (AACR). Cancer Immunology and Stem Cells. Immune Therapy for Breast Cancer by Purifying Cancer Cell-Specific T-Lymphocytes. Developing Novel Stem Cell Purification and Differentiation Techniques. Michael J Powell has an extensive knowledge and experience in managing the development of molecular diagnostics assays and instrumentation. Primarily in the translational genomics, molecular oncology, infectious diseases and personal diagnostics market place. Managed the development of molecular qPCR, hybridization probe and xeno-nucleic acid peptide nucleic acid (XNA and PNA) based assays and antibody based diagnostic products. Solid phase bead based and solution based real-time fluorescence assays, molecular imaging, cell based technologies and automated instrumentation platforms. More than 25 years experience of product and corporate development in the life sciences, molecular diagnostics and genomic biology arena. Dr. Mishra is a scientist at National Cancer Institute (NCI), National Institutes of Health (NIH). He received his Ph.D. degree in Cellular and Molecular Pharmacology from Rutgers University with Highest Honors (Outstanding Thesis Research Award). 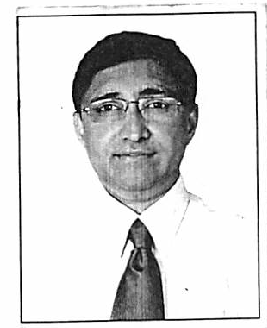 Dr. Mishra received his research training in medical oncology at the Robert Wood Johnson Medical School, where his research focus was to identify novel mechanisms of drug resistance, identify mechanism of actions of new drugs, and design novel drugs/combinations to facilitate anticancer drug development. In 2008 Dr. Mishra joined the US Department of Health and Human Services, NCI, NIH, where his research focus has primarily been to identify and exploit “druggable” early genetic events, driving cancer progression, to design a more effective anticancer therapy. With a successful track record of ‘bench to bed side’ or ‘translational research’. He has received numerous awards and honors throughout his distinguished career including the prestigious Trans-NIH Earl Stadtman Symposium Lectureships (2012, 2011 as well as 2010), Director’s Innovation Awards (2011 as well as 2009) and Federal Technology Transfer Awards (2012, 2011, 2010 as well as 2009). He is a member of many professional societies, is on the editorial board of several journals and serves as referee of a number of high impact journals. His discoveries have led to the development of new and viable strategies of prevention, diagnosis and treatment of cancer patients in the clinic. Dr. Jui-I Chao currently working as a Professor of Department of Biological Science and Technology and Professor of the Institute of Molecular Medicine and Bioengineering, National Chiao Tung University, Taiwan. Dr. Chao’s studies focused on the molecular regulation of mitotic genes of cancer cell survival and proliferation. His research team has contributed several novel findings of mitotic cancer genes such as survivin and securin in regulating mitosis and tumorigenesis. In addition to mitotic cancer genes, his research group develops nanodiamond, a promising carbon nanomaterial, in molecular and cellular reactions and cancer applications. Dr. Chao’s team has achieved several pioneering findings of nanodiamonds in biomedical applications, such as bio-imaging, labeling and drug delivery. 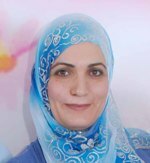 Maha Salama has completed Ph.D. studies on natural products isolation, identification and biological activities. Maha has extensive experience in the isolation, characterization and activity evaluation of biologically-active substances from natural sources for medicinal/nutritional uses and/or research tools. She has more than 20 publications to her name, natural product chemistry, phytochemistryand biochemistry. 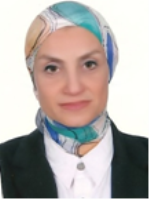 Her studies carried out in the last few years at the Faculty of Pharmacy, Cairo University include specific biological tests and screens used to detect biologically-active substances that are potentially useful for the treatment of liver disorders, diabetes, cancer and other diseases. Her recent research is focused on new methods to efficiently identify potentially useful bioactive compounds from natural materials and their standardization to be used as drugs. Studies on solanum peels waste product from Solanum melongenum fruits has resulted in the identification steroidal alkaloids. The extract from these compounds were isolated proved in vivo and in vitro anti cancer activity on hepato cellular carcinoma. Dr. Aroui is working as an Associate Professor in Biology Faculty of sciences, Tunisia at the Department of Biology and affiliated with the Department of Health and Environment. Sonia holds a Ph.D. in Biological Sciences, Biotechnology and Health, University Joseph Fourrier France. She utilized computerized drug design and peptide synthesis to develop a predictive pharmacophore for the drug delivery. Dr. Aroui is interested on elucidation of the cancer preventive and therapeutic effects of medicinal plants, natural products, dietary and synthetic agents using various cell cancer models. She is an active member of various organizations devoted to scientific research and pharmacy education. Dr Aroui Sonia acquired knowledge and understanding of topics like; Peptides synthesis, Pharmacology Toxicology, Molecular Biology, Cancer, Drug development. Dr. Anna Roschke is a Staff Scientist at the Center for Cancer Research (CCR) of the National Cancer Institute (NCI), National Institutes of Health (NIH). She joined NCI in 1998 as an expert in molecular cytogenetics. Dr. Roschke is internationally renowned for her contributions to the field of cancer molecular cytogenetics. Anna Roschke graduated with honors from Novosibirsk State University and earned her Ph.D. degree from the Institute of Cytology and Genetics (Russia). After moving to the United States, Dr. Roschke received post-doctoral training in molecular cytogenetics at the Diagnostic Development Branch of the National Center for Human Genome Research/National Human Genome Research Institute (NHGRI). Dr. W. Jozwicki graduated from Faculty of Medicine (M.D.) Medical Academy in Bydgoszcz, Poland. He completed his Doctorate in Medicine at Ludwik Rydygier Collegium Medicum in Bydgoszcz, Nicolaus Copernicus University in Torun. Basic and advanced specialist training in Pathomorphology he served in WZUW of Bydgoszcz and CMKP of Warsaw, accordingly. Currently he is Head of Department of Tumor Pathology and Pathomorphology of the same University. He is also a Head of Department of Tumor Pathology and Pathomorphologyat the Franciszek Lukaszczyk Oncological Center in Bydgoszcz. A Grant Holder and Grant Performer of international and national research projects. He is a member of professional societies for Pathology and journal's reviewer. Dr Reddy and his group have shown that ERG and FLI-1 proteins involved in several cancers are responsible for making cancer cells resistant to chemo-therapeutic agents. They are targeting these onco-proteins or their functions to develop novel targeted therapeutic agents. Using this strategy, they have developed several novel therapeutic agents (patent being submitted) that target Prostate cancer, Ewing Sarcoma, Breast cancer (including Triple Negative Breast Cancer), Pancreatic cancer, Ovarian cancer, cervical cancer, colorectal cancer, pancreatic cancer etc. These small molecules appear to be targeted therapeutic agents with no or little effect on normal cells. Dr Reddy received a grant from DOD to do research on two targeted therapeutic agents against prostate cancer. Dr Reddy and his colleagues have also shown that anti-epileptic drug Valproic acid (VPA) targets ERG-positive Prostate cancers and Ewing Sarcoma and identified the molecular mechanism of action of VPA on ERG/Fli-1 associated cancers. Recently, they have identified novel ways by which ERG/ETS oncoproteins target different signaling pathways that leads to prostate and other cancers (leukemias, lymphomas and sarcomas). Recently, Dr Reddy and his colleagues have identified novel molecular mechanism of activation of TGF beta –signaling pathway by ERG oncoprotein in prostate cancer. HONORS and AWARDS: The Prestigious MAHATMA GANDHI PRAVASI GOLD MEDAL at the HOUSE OF LORDS, PARLIAMENT, LONDON, UK ; LIFETIME ACHIEVEMENT AWARD by IIFS at New Delhi ; prestigious Bharat Award for Excellence; the prestigious RASHTRYA JEWEL AWARD and GOLD MEDAL by FFI ; Mother Teresa Excellence Award by the Integrated Council for Socio-Economic Progress ; International Goldstar Award, 2012 at Bangkok; Prestigious Best Personalities of India Award and Gold Medal ; Prestigious Bharat Excellence Award and Gold Medal; Prestigious Super Achievers of India Award and Gold Medal; CPDR Saturday Distinguished Visiting Professor Recognition Award , BHARAT GAURAV AWARD ( Pride of India Award) from Union Minister, Government of India and IIFS , the GLORY of INDIA AWARD , GCC Distinguished Cancer Scholar Award (received from the Governor, Georgia, USA),TAMA Award for outstanding efforts, services and leadership in the field of Medicine , MSM Dean's Outstanding Research award , ATA award for Excellence in Science, USA; INSA Young Scientist Award from the Prime Minister of India, Outstanding Grantsmanship Award and induction into the million dollars club of Drexel University , Twice recipient of Swebelius Cancer Research Award at Yale University , First Margaret Memorial award, UK. 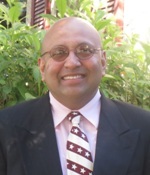 Dr. Moni Abraham Kuriakose is a professor (and the director of the head and neck oncology translational research program at Roswell Park Cancer Institute, Buffalo, NY, and head the department of surgical oncology of Mazumdar-Shaw Cancer center (MSCC)), one of the largest (1400 beds) comprehensive cancer centers in India. He has undergone training and was employed at various capacities in the United Kingdom and the USA for over 17 years, including the position as Director of head and neck oncology translational research program of New York University, in NY, NY. They have developed a research program in translational research in head and neck oncology at MSCC with focus in early detection and prevention; a training program in head and neck oncology (both for clinicians as well as scientists), a national head and neck research cooperative group, and cancer outreach program which uses smart-phone technology to reach the masses, (which is being implemented to coordinate state-wide cancer early detection program). Overall, his career goal is to make a community level impact in the outcome of head and neck cancer. Dr. Mony received his Ph.D (Hematology) from The University of Nottingham, UK. He worked on targeting of minimal residual disease in Acute Myeloid Leukemia and developed a 'niche-like' condition for testing the chemosensitivity of leukemic stem and progenitor cells. He identified multiple signalling pathways involved in the survival of leukemic stem and progenitor cells. He had his postdoctoral training as a senior fellow in a collaborative research programme at Memorial Sloan-Kettering Cancer Centre, USAwith Broad Institute of MIT and Harvard, USA. His expertise and training includes hemato-oncology, tumor microenvironment, preclinical drug discovery (small molecules), pre-clinical mice model development of cancers and induced pluripotent stem cells (iPSC). He is trained and certified in rodent major surgical procedures from Cornell University, USA and Memorial Sloan-Kettering Cancer Center, USA. He is also trained in iPSC generation and differentiation from The University of Queensland and Monash University, Australia. 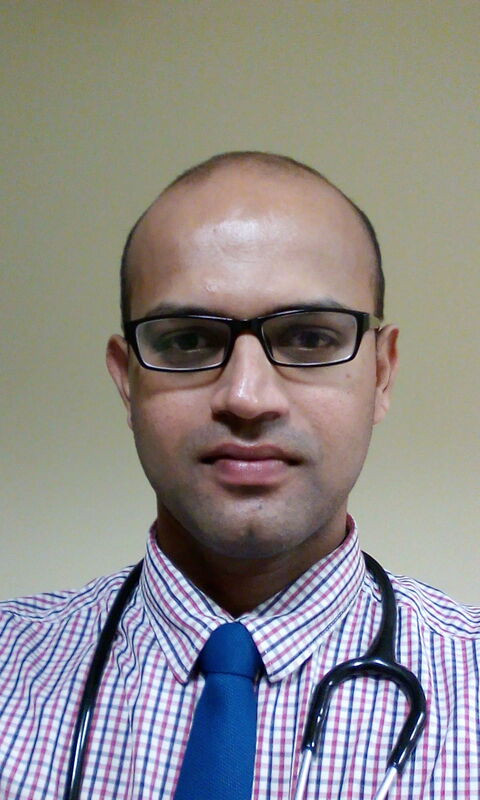 Dr Mony joined Amrita Institute of Medical Sciences, India as Assistant Professor in April 2013. Currently Dr. Mony is focusingin areas such as, finding out the molecular heterogeneity and identification of novel targets in AML cells treated with various therapeutic agents, generation and differentiation of iPS cells for drug screening and disease modeling applications and immunotherapy. He is also heading the advanced immunohematology and flowcytometry facility of the institute for disease diagnosis and research. His publications are in major international journals of repute such as Leukemia, Blood, Haematologica, Molecular Oncology etc. 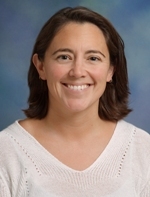 Dr. Mockus is the Manager of Clinical Analytics and Curation at The Jackson Laboratory for Genomic Medicine, where she developed a clinical knowledgebase to support the interpretation of next-generation sequencing data. Dr. Mockus continues to manage the JAX clinical interpretation and reporting group in a CLIA/CAP compliant manner while developing new assays and designing clinical trials. 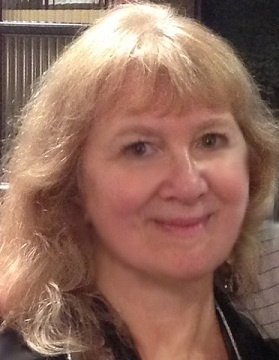 Her focus is on the development of biomedical ontologies and controlled vocabularies to drive clinical reporting from big data. 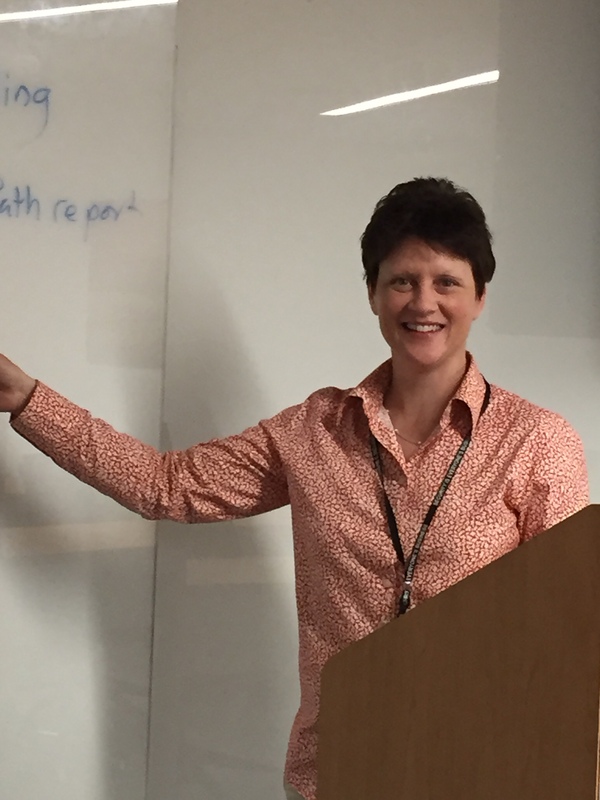 At the Jackson Lab she has applied a long-term career in biocuration to enable clinical reporting of genetic variant sequencing data, which connects biomarkers with targeted therapies. She received her Ph.D. from Wake Forest University in neuroscience with a minor in pharmacology. After completing postdoctoral training at the University of Washington in the department of pharmacology, she started her industry career in biocuration while simultaneously teaching undergraduate courses at local colleges in Rhode Island. 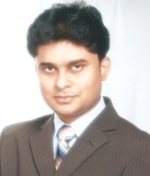 Dr. Anil Kumar has been working as an Assistant Professor at MS.Ramaiah Medical College and Hospital, Bangalore, India. Previously he worked in Kidwai memorial institute of oncology, Bangalore, Columbia Asia Referral Hospital, PGIMER, Chandigarh. He received Masters Degree from Bangalore Medical College and Research Institute. 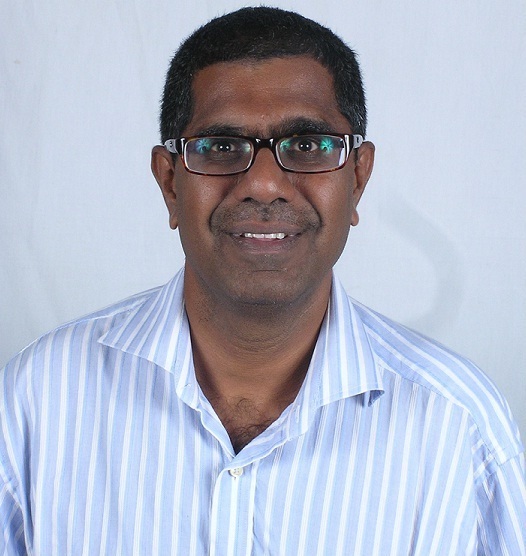 Dr. Sudhakar Natarajan has been currently working as an Associate Professor in Dr.M.G.R. Educational & Research Institute University, Chennai, India. He worked as an Assistant Professor from the same university for nearly 2 years, where he was involved in teaching and research activities. He completed Master of Philosophy in Biochemistry from University of Madras. He received Ph.D in Molecular Oncology from Cancer Institute (WIA), Adyar, Chennai. 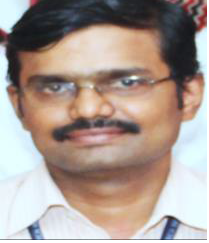 Dr. Sudhakar authored 10 publications in International journals and presented abstracts in many worldwide conferences. He is an active member in many scientific societies and an Editorial board member of Indian Journal of Genetics and Molecular Research. 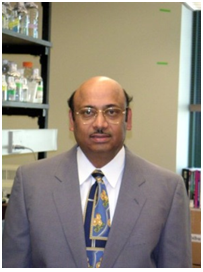 Balu Ranganathan has a PhD from the department of chemical engineering. He has worked in France, Singapore and Malaysia. His team’s technology is to pioneer nanomedicine. His focus is of technology development in the field of breast cancer therapy. Controlled drug release instead of injection is his team’s core activity. Normal mode of administration of drug for breast cancer is as an injection which is painful and has lot of side effects. Initial side effects are being hair fall and loss of appetite. Our team’s efforts are for minimising the side effects by giving a different mode of administration of the breast anticancer drugs. Nanotechnology is the state of the art technology for the development of nanomedicine. Pharmaceutical tycoons aim for the success of new drug discovery for cancer or diabetes. Other way to establish is on nanomedicine development for a different mode of administration for the breast cancer patients. If succeeds in our goal, we will be one of the leading experts in drug delivery system and nanomedicine. Balu Ranganathan owns companies in India, Malaysia and United States. These companies embed healthcare technology with social causes. Feminine care and feminine hygiene are the primary aim of the companies situated in different parts of the world. He has visited 15 different countries to garner knowledge, as he believes smart knowledge is power. He is in the advisory board of three different companies in India and Malaysia. He evaluates PhD thesis and research articles at very high level of competency.Balu Ranganathan has a PhD from the department of chemical engineering. He has worked in France, Singapore and Malaysia. His team’s technology is to pioneer nanomedicine. His focus is of technology development in the field of breast cancer therapy. Controlled drug release instead of injection is his team’s core activity. Normal mode of administration of drug for breast cancer is as an injection which is painful and has lot of side effects. Initial side effects are being hair fall and loss of appetite. Our team’s efforts are for minimising the side effects by giving a different mode of administration of the breast anticancer drugs. He is in the advisory board of three different companies in India and Malaysia. 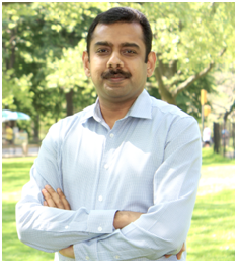 He evaluates PhD thesis and research articles at very high level of competency.Ranganathan has a PhD from the department of chemical engineering. He has worked in France, Singapore and Malaysia. His team’s technology is to pioneer nanomedicine. His focus is of technology development in the field of breast cancer therapy. Controlled drug release instead of injection is his team’s core activity. Normal mode of administration of drug for breast cancer is as an injection which is painful and has lot of side effects. Initial side effects are being hair fall and loss of appetite. Our team’s efforts are for minimising the side effects by giving a different mode of administration of the breast anticancer drugs. He is in the advisory board of three different companies in India and Malaysia. He evaluates PhD thesis and research articles at very high level of competency. Dr. Syed Irfan Ahmad Bukhari got his Doctor of Philosophy in Cellular and Molecular Biology from Laval University. He is skilled researcher with strong background in molecular biology, biochemistry, cell biology, immunology and molecular genetics. His primary research interest is in cancer biology. He is currently involving in understanding the role of non-coding RNAs in the post-transcriptional gene regulation of clinically resistant quiescent cancer cell. To date, most drugs developed to treat cancer aim to target the highly proliferating cells. Within these highly proliferating cancer cells is a sub population of cells, which are in a quiescent state (G0). The quiescent state (G0) is reversible and generally adopted by adult stem cells before being differentiated upon extrinsic stimulus. This quiescent state is necessary for maintenance of self- renewal of stem cells and is an important factor in the resistance of cancer stem cells to chemotherapy. in the post-transcriptional gene regulation of clinically resistant quiescent cancer cell. during this specialized cellular state. cells. He was principally responsible for deciphering the mechanism by which micro-RNAs lead to activation of specific genes during quiescent state, as well as the alternative translation mechanism adopted by these cancer stem cells.